Lost in all of the publicity and fanfare surrounding big name releases, original slot games usually don’t get the exposure that they deserve. Just because a game isn’t based on a popular comic book character or a blockbuster movie doesn’t mean that it’s not fun or exciting: that’s why we always try to review a wide selection of titles on this website. Sometimes you’re just in the mood for something different. 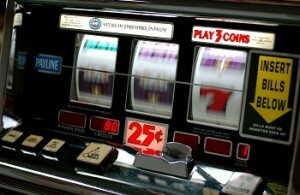 A true “original” slot game is one that has a unique storyline or has been around way before online casinos came into existence in the mid 1990s. A great example of a classic is Lucky 7s because it has all of the elements to fit the criteria: it’s old as dirt, has traditional symbols, reels, and paylines, and it’s not based on a larger-than-life superhero. Some other examples would be Swinging Bells, Sevens & Stripes, and Cleopatra’s Gold – machines that haven’t changed much in a few decades but are still lots of fun to play. Luckily we have seen a new software trend since 2014 with the rise of the “celebrity-themed” game which is based on popular people, both living and dead, who happen to be famous for one reason or another. We classify these releases as “original” since they’re not affiliated with a specific movie or musical group. Some of these have turned out to be extremely fun games, with John Wayne, Marilyn Monroe, and James Dean leading the way. All three of these titles focus on icons who made their mark on America and the world beyond, and their gambling tributes really are larger than life. It’s just so easy to get lost in the imagery and music and be transported back to another era where things were both simpler and more complex, depending on your point of view. Here is our full directory of original slot games, complete with celebrity-themed releases that didn’t feel right to lump in with other categories. Since around 2011 we’ve seen an increase in what we refer to as the “New Generation of Original Slots Games” released by software companies looking to make a name for themselves. These would be classified as “new slot games that are not based on any sort of branded content”. This is an important category for those who don’t want anything to do with loud, big budget Hollywood movie slots, or niche games that only appeal to diehard fans like certain slots based on classic television shows that they never even watched in the first place. No unknown characters, no explosions, no video clips, and no nonsense – just a nice, relaxing game. This next generation includes titles that most players have never heard of such as A Night Out or Desert Treasure: fun machines that were built from scratch and have original imagery and stories. Uniqueness will always be welcomed by a certain portion of the player community so it’s assumed that software companies will continue launching independent titles for that target market. There has also been a big push for new games based on figures from pop culture like wrestlers and exotic dancers, in addition to traditional subjects like fishing and bowling. Not to mention all of the games featuring animals, vampires, and zombies – there honestly doesn’t seem to be a subject out there that hasn’t been covered already. There’s even a whole range of titles based on holidays like Christmas, Thanksgiving, Valentine’s Day, and Halloween – the list is endless. As always, we here at Queen of Online Slots strive to bring you reviews for every possible genre no matter how obscure, so always be sure to check back often for new content and special features detailing the latest ones. Save your time and money, and let us do the heavy lifting for you. Happy spinning!